Our duty glove is constructed with a premium leather shell and with premium quality thin liner, which offers a significant amount of dextarity and comfort. You feel comfort during driving, Dress, shooting and search a suspect. The DUPONT cut resistant kevlar can also be worn under these gloves for maximum portection during searching a suspect. 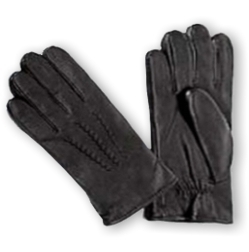 This glove is found very quality leather outer shell and can wear during the dress occasions. o Wrist elasticized for snug fine fit.